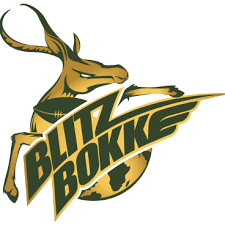 Springbok Sevens captain Kyle Brown will not return to South Africa with the rest of the squad and will instead stay behind in Vancouver on medical advice. The squad is expected to arrive back in Cape Town at around 07h00 on Wednesday. Brown sustained a chest injury on Sunday in the HSBC Canada Sevens Cup final against New Zealand. He was taken to a nearby city hospital afterwards where he stayed overnight for observation. According to the team’s medical report, Brown subsequently developed air between the chest wall and the lungs. The condition is known as pneumothorax. Hugh Everson, the Springbok Sevens physiotherapist, accompanied the player to hospital and said it was recommended that Brown does not undertake any air travel until his condition has cleared up.“Kyle is in good health and at this point he has minimal pain after he was discharged early on Monday morning,” said Everson. Meanwhile, the pools for round seven of the HSBC World Rugby Sevens Series in Hong Kong have been confirmed. The tournament will be staged over three days from 8 to 10 April. Canada Sevens winners, New Zealand, head Pool A and will face Samoa, France and Kenya, while series leaders and defending champions Fiji will meet Wales, in a repeat of the 2013 final, Canada and Korea in Pool D. The Springbok Sevens, runners-up in Vancouver, await Scotland, England and Russia in Pool B, while Australia will meet USA, Argentina and Portugal in Pool C.
Apart from the main competition, there is also a 12-team qualifier tournament with the winner qualifying as a core team for the 2016-17 World Series, which was won by Russia in 2015 and Japan in 2014. The qualifier teams are Morocco and Zimbabwe (Africa), Hong Kong and Japan (Asia), Germany and Spain (Europe), Cayman Islands and Mexico (North America), Brazil and Chile (South America) and Papua New Guinea and Tonga (Oceania).